Journalist Ronit Vered shares stories and insights about local culinary history, food as culture and identity and how food shapes our lives. Ronit and photographer Dan Peretz travel the country searching for interesting people and their stories. Ronit Vered is a researcher of food culture, a journalist, and author of food and travel books. Her column with photographer Dan Peretz engages with local food traditions, and has appeared weekly since 2007 in Haaretz. Her articles have been published in numerous culinary magazines and books, in Israel and elsewhere. 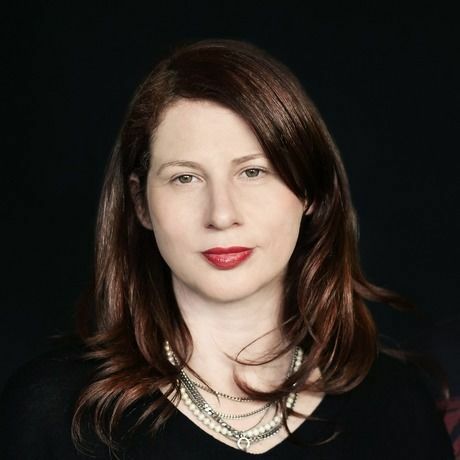 Ronit is a frequent lecturer and moderator of international panels on themes relating to cuisines and identity, food and politics, the Jewish kitchen, and the flourishing of Israeli cuisine. In the past few years she has also been involved in culinary curation, creating artistic-culinary programs for cultural institutions (including the Jerusalem Cinematheque and the Polish Cultural Institute) and in culinary consulting to TV shows and publishers. From 1999 to 2006 she was a writer and editor-in- chief at Mapa – a publishing company that was an Israeli pioneer in the leisure and hospitality sphere (maps, atlases, lexicons, and guidebooks). She partnered in writing several of their publications including The Mapa Restaurant Guide and 101 Great Days Out. Once a week, Ronit Vered and Dan Peretz hit the road to track down great food and document the work of chefs, farmers, foragers, bakers, grinders, cheesemakers, vintners and other food people. In 2018 the duo will publish a book relating the narrative of Israel’s local food craftspeople.